There is no women in the universe who doesn't want to be a “Mother.” So pregnancy is the precondition for being a mother. It is a blessing for the women. But a woman has to go through several bodily changes day after day along with a lot of discomforts including sleep problem, eating problems and so forth. During pregnancy, a mother has to compromise with a lot of troubles to embrace with the happiness of being a mother. Among other discomforts, one of the most prominent pains she faces is sleep problem. Sleep patterns during pregnancy change drastically unlike others. So, it is daunting to have a restful sleep at night while you are pregnant. But, it is untold important for both a mother and her baby to have a good sleep at night. You know that, a restful sleep at night fuels you to spend the next day full with vigor. Besides, it helps you to concentrate on your daily activities too. There are some solutions also to have a restful sleep at night though it seems that 100% result can never be gained. Mainly, in the later stages of pregnancy, it is found that most pregnant women can sleep only a few hours that is insufficient for them. But, it happens for most of them maintaining all the rules their doctors advise them though. However, we have researched a lot and are going to show you some possible solutions by which you can have a restful night’s sleep at least. Physical problems may vary while sleeping on just a mattress and a platform bed. It varies due to the height of the bed you are sleeping on. If you sleep on just a mattress which is low profile bed and it keeps on the floor directly, there you may face few risk factors as a pregnant woman. A person with knee pain also faces problem while going to sleep on just a mattress on the floor. Among the risk factors early labor at first, vomiting of pregnancy, severe nausea and the like may arise. Besides, it will also be difficult for you too to get in and out of the low profile bed while you are pregnant. When you want to get into the bed, you need to bend your knees that may be difficult and sometimes challenging for you because you have already gained some extra weight day after day due to pregnancy. You have to take the help of a table standing next to your bed while pulling your body up and going to the bathroom or toilet. It takes extra effort and can cause some discomfort to you. 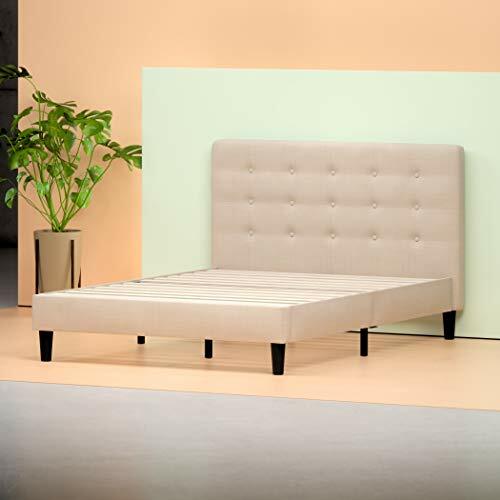 On the other hand, to eliminate these problems encountered by you, you can think of a platform bed that can meet up the scarcity of bed’s height. It is recommended that you can replace your bed while pregnancy if you are still using a low profile bed (a mattress just on the floor). Otherwise, a platform bed is easy to put together as well as portable. 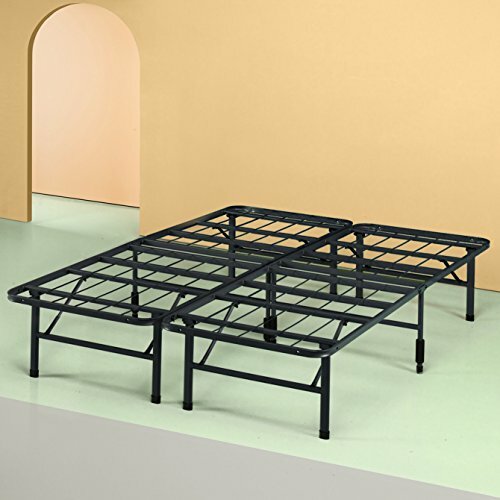 There are multi-functional platform beds also available in the market you can choose from them. But it does not mean that a platform bed is not sturdy and comfortable enough. However, in a low profile bed, there are some advantages as well. If you suffer from heartburn and some stomach issues, you can sleep on a low profile bed. During pregnancy, it is bothering for you to keep lying down on the bed for all time. Sometimes, you get bored and want to sit on the bed leaning against. You may want to watch TV or reading books (in most cases, pregnancy-related books). It is hard to sit on the bed for a long time without providing support using support pillows to your back. A platform bed with its headboard can come handy in this situation. But make sure the headboard is covered with soft foam, or you can use one or two pillows against the headboard and continue reading books or watching your favorite TV show for a long time. Size of your bed is also important to think because some pregnant women co-sleep with their husband and baby while others do not like to share their bed during the whole period of pregnancy. It depends on the number of the person. If you want to sleep with your little one and your husband, you should choose a bed size that easily accommodates all of you comfortably. There should also be free spaces for side pillows between you and your baby. Sometimes, your baby may stretch his/her hands and legs indiscriminately in sleep. Side pillows can help you protect from your baby’s hands or legs. You can do the same thing for your husband too if you think it is needed. Never take any risks because it may be a vital problem for you as well as your cute little one growing inside your abdomen. Besides, you must keep it safe inside from any danger so that both of you can stay and sleep well. Sound sleep at night is equally important and beneficial for both of you. Generally, we tend to get things in reach of our hands while sleeping on the bed. Getting in and out from bed for several times is bothering as well as time-consuming for all indeed. Now, think of a pregnant woman! It is much more irritating and at the same time difficult (sometimes) for her to get in and out several times for any need. 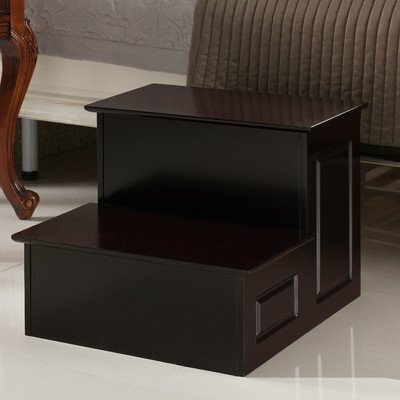 So, if there are beds that already have side tables attached? You should not worry about it too. There are several platform beds with side tables attached out there in the market. It can easily eliminate the inconveniences you may face in getting things near you that is needed for you. All you need to do is to bring and arrange all the necessary stuff on the side tables (water bottles, glass, books, etc.) before going to sleep on the bed finally. It is known to all that in the course of time during pregnancy, you will gain extra weight that may become some discomforts for you. Besides, if the bed you sleep on is high enough for you and it is not easy for you to get out of the bed, attached or separate stairs will help you do the task easily. Getting out of the bed without stairs may cause you problems. You may fall on the floor down suddenly while trying to get out of the bed because of your extra weight and its height. To avoid these types of problems, use attached or separate stairs. Besides, they help you to get in the bed comfortable as well. The squeaking of a bed proves that it is not sturdy enough or assembled perfectly and not high in quality. But as a pregnant woman, you have to ensure that you are sleeping on a bed that is comfortable, sturdy, and noise-free and the like. You cannot eat well during pregnancy; even you cannot have a restful sleep at night that is very important for both you and your baby. Moreover, if your platform bed produces irritating sound in the midnight, your sleep at night will flee away from your eyes that are most harmful to your overall health. As a result, you will not go well after waking up from bed in the morning. If you are already sleeping on a platform bed, you know that it is needless to use a box spring. A box spring sometimes squeaks and disturbs your sleeping. Here a comfortable mattress can be the best alternative and adds extra comfort to your sleeping at night. 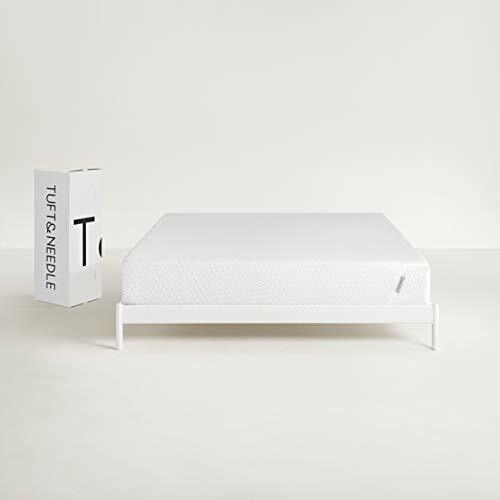 But you have to keep one thing in your mind that the platform bed you are using should be sturdy enough to hold the mattress and your weight on it. Platform bed frames are of two types. They are either made of metals or wood. Both of them can be sturdy enough, but you have to keep an eye before purchasing them. 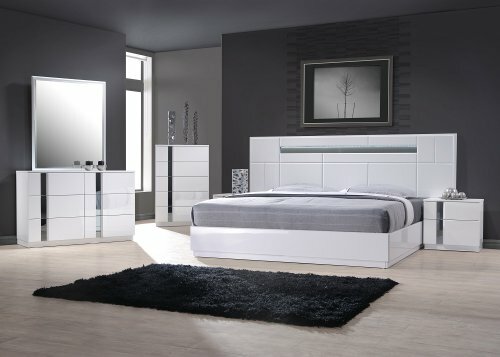 You will find a lot of reviews regarding purchasing platform bed. Pregnancy is a period that makes you suffer from many discomforts from the very beginning to the end and results in heavenly happiness. All the sufferings fade away after giving birth to a cute baby. During pregnancy, your body goes through a vital but gradual change and does not let you keep calm all the time. 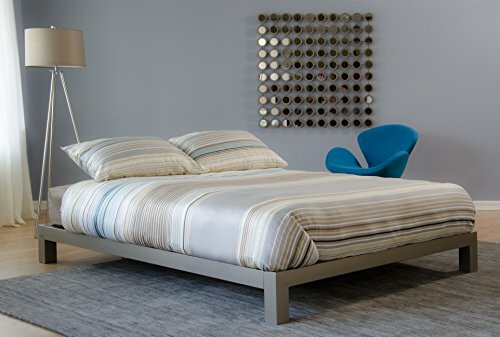 If you are a sufferer from acid reflux, a platform bed can also help you keep well. But make sure when you are facing trouble, sit on the bed and lean against the headboard keeping your upper body straight and placing one to two support pillows behind your back.